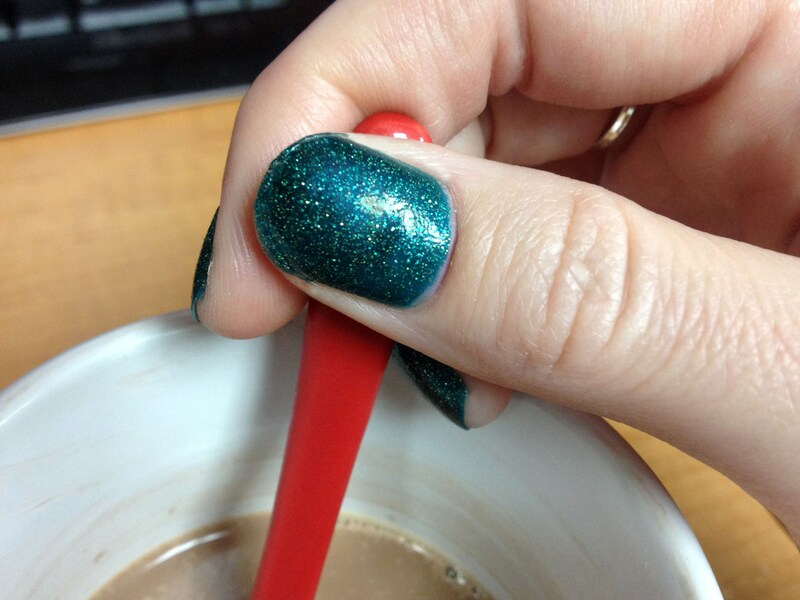 Today, I’m seeing emerald… on my nails. 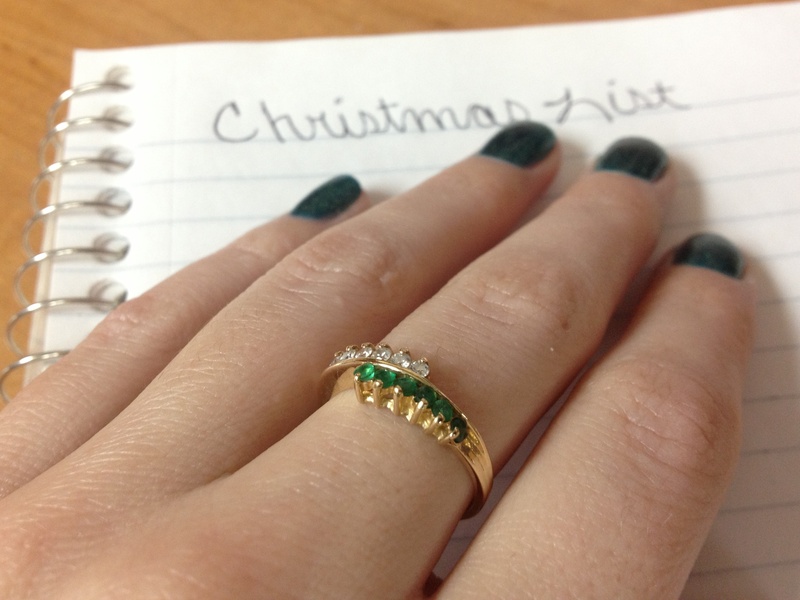 Evergreen by Icing is such a festive polish for the holidays and a welcomed breath of fresh pine-filled air. Different from the regular reds often seen at this time of year, this sparkly emerald also happens to be Pantone’s 2013 Color of the Year. What do you think of this holiday look? 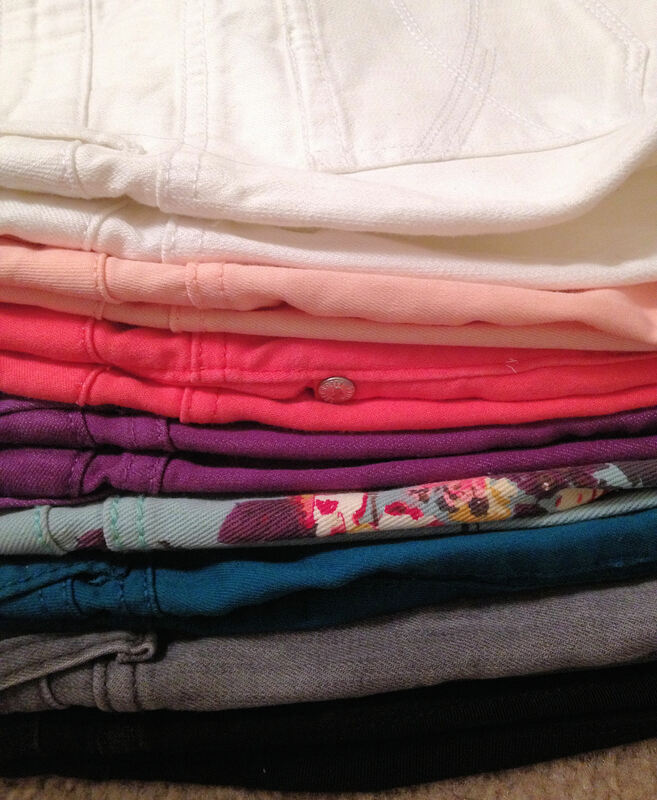 So apparently I’m slightly obsessed with non-blue jeans… Do you remember life before colored jeans? The choices in casual pants were so boring! Blue jeans, jeans with holes, skinny jeans, more jeans and the occasional pair of khakis… the options were limited. 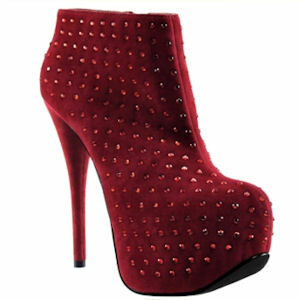 But a couple years ago, jeans in red, cobalt, green and other colors of the rainbow burst onto the fashion scene. I first acquired pairs in coral and purple last December. I debated investing in more colors because I wasn’t sure if this was a passing fad or if they were here to stay. 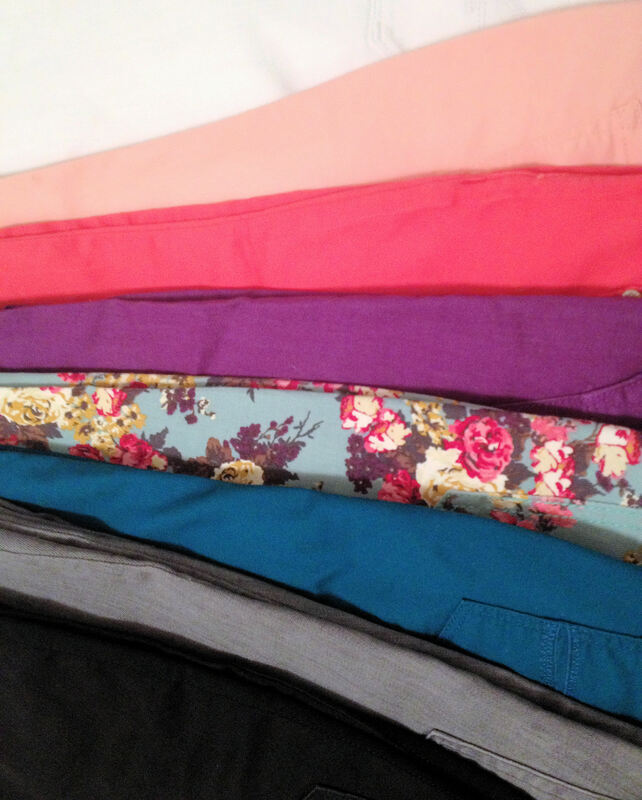 That spring the options flourished and today, colored jeans are still going strong. 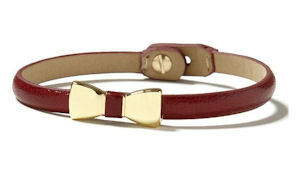 Nearly every store carries multiple colors and they’re continually featured in fashion magazines. But I'm sure I don’t have to tell YOU that! 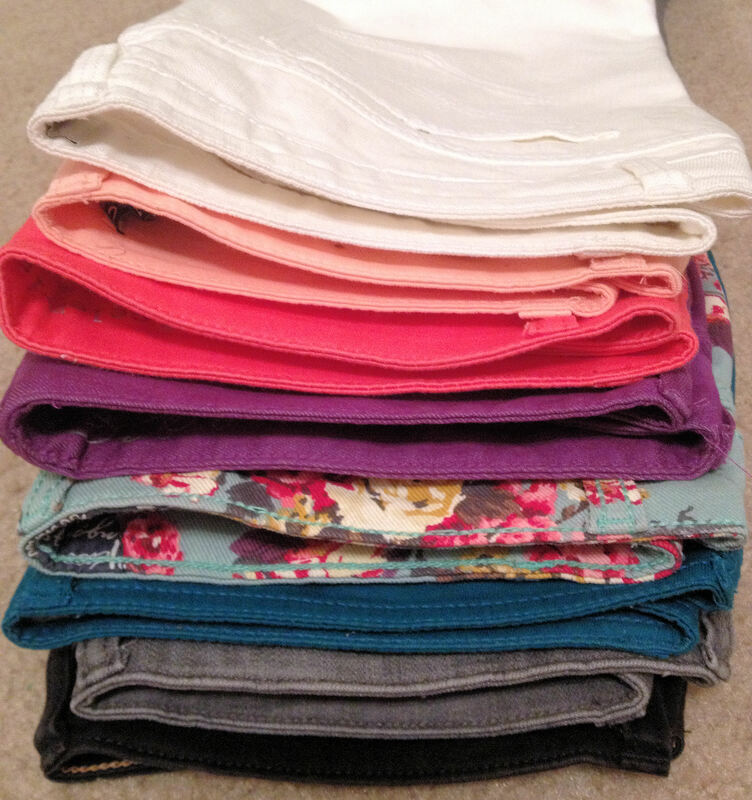 So now that colored jeans have joined the arsenal of casual pants, I may have developed a small obsession. They’re just so fun and such a refreshing change of pace! My latest pairs are in pale rose and, my first patterned jeans, a floral print on mint from Charlotte Russe. See below for tips on how to wear non-blue jeans and how I plan to wear mine! Wear the right shoe. Flats, pumps and booties work best. After spotting it on numerous runways and subsequent street style blogs, the fashion authorities have dubbed “oxblood” the color of the season. 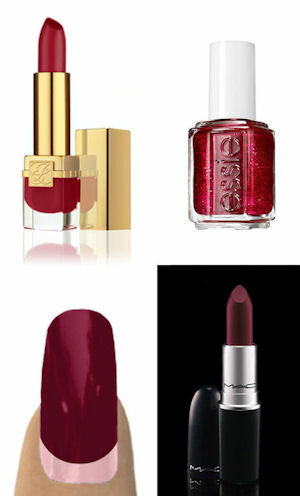 This deep shade of red, along with its several variations, is perfect for this time of year! As a wine lover (not connoisseur – I usually enjoy anything as long as it’s made of fermented fruits), I prefer to call it “Bordeaux.” Making a statement with red is nothing new, but this season bordeaux is rich and infused with romance, royalty and rock. Thankfully, this dramatic color is super easy to wear with neutrals you might already have in your closet and leopard print. 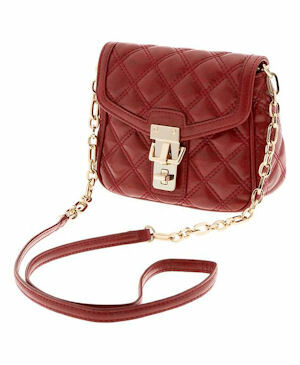 To add a little more drama, select Bordeaux pieces in leather, velvet or other luxe textures. When I paint the town... bordeaux, I pair my velvet-like burgundy skinny pants with a sleeve-less black top, camel faux leather jacket, leopard print heels and gold jewelry. While I'm keeping it casual I wear the same pants with an ivory 3/4 length sleeve sweater, a beige sweater vest with fur trim and leopard print smoking slippers. Thank you for visiting my blog! All text and original images are the property of Miss Fashionably Kate. Please be respectful and link back. Look who's in the Toledo City Paper!